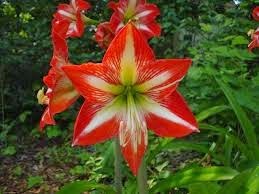 Plant: Some suggested bulbs that do well on the Coffs Coast—Amaryllis (Hippeastrum hybrid cultivars), Blood lily (Haemanthus coccineus), Scarborough lily (Cyrtanthus elatus syn. Vallota speciosa), Spider lily (Hymenocallis spp.) and Swamp lily (Crinum pedunculatum). Lift, divide and replant clumping perennials such as clivia, agapanthus and ginger during the warm, autumn temperatures. 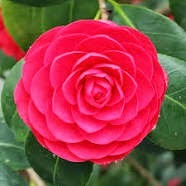 This time of year is really good if you wish to transplant a shrub. Dig the largest root ball you can and replant to the same level. Apply liquid seaweed. taking any cuttings. Use semi-hardwood (new season growth that has partially hardened up) or hardwood (older growth not yet fully hardened), generally they shouldn’t be too ‘bendy’. Choose stems that have no visible signs of pests or diseases and cut 10-20cm long pieces. Each cutting needs to have at least one node below the surface and one above. The base should be trimmed just below a node and the top trimmed just above a node. Dip into honey or hormone powder and place into potting mix that has 20-30% sand or perlite added. This improves drainage and reduces the risk of rotting. Prune: Remove spent hydrangea flowers, you can place them in a very strong solution of food colouring and water for a week before drying to get unusual colours. Roses can be coloured this way too, its great fun! 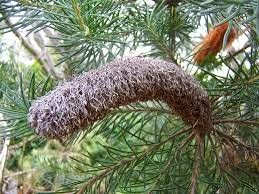 Tidy up banksia bushes by removing the spent flowers. Tip prune all other natives once flowers are spent to keep the plants compact. Deadhead dahlia and roses to get the most out of them before they finish for the season. Cut back lomandras to ground level to get rid of unsightly spent flower stems and leaves. 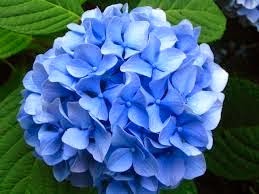 Very large clumps can be lifted and divided to rejuvenate them. Prepare: It is not too late to prepare your ground if you intend to plant bare-rooted trees and shrubs by digging over and mixing in compost or well rotted manure (or both!). Feed: After the heavy rain events over recent months fertilisers have been severely leached out of our gardens. 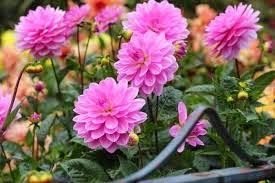 Top up fertilisers, especially to camellias (which are coming into flower) and any flowering shrubs, eg hibiscus or gardenia. Check: for caterpillars, they are chomping through all the lovely lush growth on our flowers and shrubs—best to squish them!